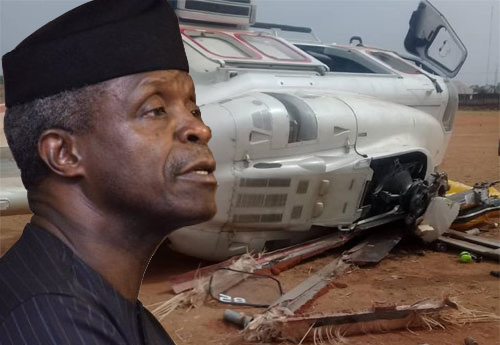 The All Progressives Congress has thanked God for saving the lives of Vice President Yemi Osinbajo and his aides in the helicopter crash. The party in a statement by its National Publicity Secretary, Mallam Lanre Issa-onilu, also prayed for continuous safety of leaders and progress of the country. The statement said, “We thank God our vice president, Prof. Yemi Osinbajo is safe and sound along with his aides following his involvement in a helicopter accident which occurred in Kabba, Kogi State while undertaking the All Progressives Congress #NextLevelEngagements ahead of the 2019Elections.